Early this week I was getting really bummed because I was thinking I had nothing to write about for Pallimed, and then BOOM! it all came at me at once. Enjoy! Interestingly the coroner submitted the deaths as 'undetermined' early in February, and said there was not enough evidence for homicide after consulting with leading forensics experts. Apparently this has not deterred the District Attorney, and the Grand Jury will proceed. One connection to a previous Pallimed post was that there was an outcry by supporters of Pou, Budo, and Landry before the airing of the Boston Legal episode. They felt that since the doctor to be found guilty (based on leaked information, sorry to give the ending away), and the trial had not started yet, that it would unfairly influence the public. Wish I could show you some key scenes from the show, but all I could find was this promo clip. I had it on DVR but it got erased somehow, so now I cannot invite all of you to my house. Leading Hospice Organization Drops Opposition to Doctor-Assisted Suicide. Pretty shocking headline. Let's read a little bit further. What the AAHPM (the organization) did was take a position of neutrality. Which is technically 'dropping opposition', but basically the statement moves to at least support health care providers in states where physician-assisted death* is legal (Oregon only, although multiple other states have tried and failed). With headlines like this, and knowing that few people actually read the article, I wonder how this play when it hits more papers, and talk show radio? I encourage all members of the field to read the AAHPM statements as they are well written and have been re-vamped in the past few weeks. 3) I get some pretty interesting searches when I look for materials for the blog, but business and economics hits for 'hospice' are pretty rare. But I found this very interesting stock market analysis of Chemed the parent company of VITAS and Rotorooter** (thus the Chem I presume?). No plan to debate the for-profit versus non-for-profit here, but it does make for interesting reading. While the relatively low absolute capital requirements represent a low barrier to entry, the regulatory complexity associated with establishing a Medicare-licensed hospice location remains a significant barrier. This industry has benefited in the last few years from favorable demographic trends and expanded Medicare reimbursements. There have been several notable disasters in this industry recently (ironically, due to issues with Medicare reimbursements). However, a favorable pricing environment, with tiered benefit plans and double-digit premium increases, coupled with stable inflation, should result in estimated earnings growth of 15% to 20% for the industry over the medium term. Medical care organizations will benefit from continued volume growth, innovative plans designed to moderate cost increases (along with higher consumer co-payments), better claims handling (leading to improved reimbursements from insurers), and expanded Medicare coverage and reimbursements. I guess no one told them Bush is planning to cut Hospice Medicare Reimbursements. ** Super side note and obscure reference here (thanks Wikipedia! ): From the show Futurama, a ad jingle: "Call robo-rooter if you flush a towel. We can also help with that impacted bowel." 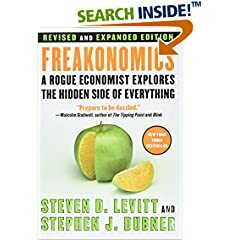 Business and HPM again: The folks at the Freakonomics Blog (Very interesting read by the way) actually posted about the JAMA Grief article we just posted about here. HospiceGuy with some great posts! If you have not been reading HospiceBlog by Hospice Guy, he is making some great posts over there. Especially his very interesting and well written take on different payment levels for home hospice versus nursing home hospice. Hospice and the lottery. An interesting way to fund hospice programs in the UK. Hope it does not come to that here in the US. I got a Drew style heavy duty analysis post coming up by the end of this week, for those who read Pallimed for the articles. "For decedents with written ADs, the last place of care was most likely to be a nursing home. Those with an AD used less life-sustaining treatment in the last month of life, because they were less likely to die in an intensive care unit (11.8% vs 22.0%), to be on a respirator (25.6% vs 36.7%), or to be using a feeding tube (17.3% vs 26.8%) in the last month of life. Family members of decedents with ADs were not more likely to report that the decedent did not receive enough life-sustaining treatment." There's a study looking at pain and how it attenuates recovery from depression in elderly veterans. It does (well, maybe--it's a complicated study which I'm not going to belabor here--it's an interesting read for those of you interested in the topic). Journal of Medical Ethics has an article proposing a conceptual framework for medical futility. This is a rather erudite treatise which references Hume liberally, as well as has a dash of Schrodinger's cat, and frankly it lost me frequently. That being said its thesis seems to be rather straight-forward: that the futility of a medical intervention can only be evaluated if the goal of the medical intervention is established, but that, you know, there's often disagreement about what a reasonable goal is, and who gets to decide what the goal is anyway...? If there's anything more subtle going on in this paper that I've missed please comment and let me know. JAMA published an excellent, ground-breaking study in to the actual testing of the stage theory of grief (apparently this is a full-text free article) this week. You may have seen this brought up in some of the media outlets over the past few days, but we here at Pallimed will break down the study for you in ways those health care reporters cannot. depression is greater than anger. It does give support to the resilience of the human spirit in times of great adversity. I hope to see more studies on grief based off of this one. Maybe ones that track people closer to the time of loss? In this study the mean time to first interview was 6.3 months post-loss. Hopefully with active bereavement groups in hospices this could be started a little earlier. The authors do comment on the difficulty in obtaining IRB for bereavement studies out of fear of causing harm in discussing loss. It should also be noted that this study excluded those who met criteria for complicated grief and the the majority of participants were white (97%), females (71%) over 65 (54%) who lost their spouse (84%). So your mileage may vary with your population that you see. Obviously A 24yo Laotian father who loses his son may not have the same sort of grief. Which brings up the point to study the stage theory of grief in vastly different populations to see if it is the humanity that gives us a commonality or if our cultures really separate our emotional experiences. 3) Time magazine has an opinion piece by Scott Haig [link fixed 2/25] (an emergency room doctor I presume, although his credentials are not listed) about the value of the human mind in assessing other people’s pain. The discuss the poor efficacy of the Visual Analog Scale in the ED comparing a stoic man who denies pain to a recent female MVA patient who seems to be embellishing her pain in the desire to get Percocet. The professional skill comes in taking the VAS applying it to the clinical situation and using it as part of a comprehensive examination. Never should a policy say, "for pain of X give a morphine dose of Y." That makes our professional skills take a back seat. So while the general point of the article (our minds are still useful in medicine) was good, I think the gist is that 'people may deceive' and 'the VAS is worthless.' It all depends on how you use the tools provided. PS for those of you wanting the talks at the AAHPM , check out Rollin' Recordings for the MP3's they have there. I got to talk to Lou at the meeting and he is a great guy. And you can listen to the talks in your car. In cancer care, despite being considered a normal reaction, anger is often seen as a negative emotion, which is tolerated, as it may presage a future, more constructive response. I was hoping when I read this that the article was going to thoroughly de-pathologize anger, but it didn't really. First are a couple of articles about complementary and alternative therapies in cancer care. One is a randomized trial of aromatherapy massage (which is exactly what it sounds like) for depression and anxiety in cancer patients. It was a multi-center non-blinded trial in which 288 cancer patients were randomized to four one-hour sessions of AM or 'usual care.' How these patients were identified is unclear, they apparently met 'modified criteria' for 'clinical anxiety/depression' according to DSM-IV criteria. I don't have a DSM in front of me but the last time I checked 'clinical anxiety' or 'clinical depression' weren't diagnoses in the DSM--GAD, major depressive disorder, adjustment disorder etc--but not 'clinical anxiety.' This sort of stuff worries me when I see it in an article. Their primary outcome was depression and anxiety symptoms at 10 weeks post-randomization and intention to treat analysis was used. (After reading the article a couple of times I'm still a little fuzzy on how they actually defined anxiety and depression). They found modest improvements in anxiety and depression 6 weeks post-randomization (2 weeks after the intervention was done) in the AM group; no differences in anxiety/depression between the AM & usual care group at 10 weeks (this was the primary outcomes); and no differences at any times between the groups regarding pain, fatigue, nausea, or global quality of life. Problems aside (and, frankly, supportive cancer/symptom trials tend not to be of the highest quality in most instances), this was the best designed and executed CAM trials I've seen for a while, and I commend the authors for publishing its severely underwhelming findings. In their discussion they noted some of the difficulties in undertaking the trial--typical stuff about patients getting sick etc.--but they also mentioned how none of the study sites actually had infrastructure supporting research into supportive cancer research which was a problem for them. This is the real story here. Second is another CAM study. This one looked at the use of complementary and alternative therapies in cancer patients starting phase I trials. About 200 patients were interviewed at the University of Chicago as they were enrolling in phase I trials about their CAM use. Their most interesting findings, although not surprising I guess, is that CAM use seemed to increase with decreasing quality of life and increasing certainty of death (it was much more common in patients who thought they were likely to die within the year). Third in JCO is a study looking at advanced cancer patients' religiousness & spiritual support & how it relates to quality of life and end of life treatment preferences. This was another interesting article to come out of the Coping with Cancer Study (a multi-institutional U.S. study of advanced cancer patients and their caregivers). 230 patients were interviewed about spirituality, religion, and sundry other things. Not surprisingly most patients felt like the medical system provided inadequate spiritual support; more surprising was that almost half of patients reported their own religious communities provided inadequate support. This finding was attenuated for African-Americans & Hispanics. Spiritual support was associated with improved quality of life (this finding survived multivariate analysis). In multivariate analysis increased religiousness was associated with wanting all possible measures to extend life 'even if you were going to die in a few days' but not decreased rates of advance directive completion. Being 'non-white' was associated with decreased completion of advance directives and a DNR order (being in the Northeast was also associated with not having a DNR order--no comment on that). Most of these findings are consistent with previous ones. What was striking to me was how, it seems, patients felt like their spiritual needs were not being met by either the medical system or their own religious communities--perhaps part of the progressive isolation many patients undergo as they become increasingly disabled? However, five of 13 physicians stated they had some reservations; namely, fear that the patient may not be ready to discuss end-of-life issues, and concern that it may put the onus on the patient to ask questions rather than on the physician to respond to patients' cues. Because, as we all well know, physicians are the ones who should be deciding when it's time to discuss end of life concerns, and are famous for our ability to pick up on patients' cues, particularly when it comes to discussing uncomfortable information. 1) Did anyone else miss the Pope talking about palliative care last weekend (Feb. 11)? Where was I? “There is a need to promote policies which create conditions where human beings can bear even incurable illnesses and death in a dignified manner,” he said, pointing to the need for more palliative care centers. With their help and the invaluable help of hospice, she has had an unbelievable good turn in the quality of her life. She looks forward to her visits by hospice nurses, caregivers and social workers. It has taken much of the burden I had expected to carry. What a blessing it has been. Thank you for bringing these services into public view. The government is quite anxious for people not to seek the expensive treatment for diseases that cost a lot but usually extend life for a relatively short period of time. We have been bombarded in the media with the message that we should forgo treatment and "die with dignity." Let me tell you, death is never "dignified." The last few weeks of my mother's illness, she did have home hospice care. When the time came that she was no longer able to swallow, we asked that an IV be inserted to give her hydration and nutrition. The hospice service pressured us to not have it done. We are, in my opinion, being brainwashed to save money. Well those are two very different views, but it does show that we must continue to strive to build trust of those we serve. As Drew and many others said, palliative care does not necessarily mean inexpensive care. There is often a great deal more resources poured into the human capital with palliative care as opposed to the technological but there is still a lot of time (and therefore money) being directed towards good quality end-of-life care based on evidence. 3) Speaking of evidence, the blog Overcoming Bias shone (shined?) 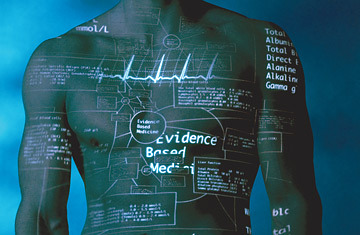 a light on a Time magazine article bashing Evidence-Based Medicine. Now we here at Pallimed are pretty big fans of Evidence-Based Medicine but we also work in a specialty where we are just learning what the evidence is. The article and the blogger both feel that EBM will never really come of age especially if lawsuits against schools that teach it are the target of law suits. With that, i give a disclaimer...any medical information you read here at Pallimed, read at your own risk. Check the source material first, but if you do want to say you saw it on Pallimed to all you friends and co-workers, we always appreciate the reference. 4) A link to a current debate in Britain about the legalization of heroin for the treatment of addicts. The interesting thing for palliative care folks, is that our fellow practitioners in the UK have access to another opioid called diamorphine for pain control. Diamorphine is also known as heroin. While it would be nice to have access to another opioid for prescribing in complex pain situations, I do not think it would be worth the potential stigma of being DIRECTLY associated with heroin, an illegal narcotic in the US. Any comments on this stigma issue from our UK readers? 5) Also a great blogger, NHS Doctor, gives his thoughts and a few BBC links for the right to die case currently being debated in Britain that Drew just referenced. Annals of Internal Medicine has a study examining the effects of an educational intervention to patients to help them understand medical risk. Patients were given a booklet/primer explaining medical risk. Basically they found it was helpful and higher socioeconomic status patients did better than lower socioeconomic status patients. Unfortunately you can't actually access the primer online and so you tell if it would be helpful for a palliative care population (one assumes it'll be made commercially available at some point). It's an interesting idea and certainly understanding risk is important for decision making for, say, chemotherapy for advanced cancer. Medscape is reporting that hydromorphone is a minor metabolite of morphine and can be positive in urine drug tests for people taking morphine only (not hydromorphone). The story is from a presentation from the recent AAPM meeting and cannot be otherwise vetted. (Medscape articles are available for free if you sign-up). BMJ has a news story about a woman in the UK seeking permission from a court to get enough morphine to relieve her pain which, apparently, will kill her. She's a 30 year old woman with end stage Eisenmenger's syndrome (ineligible for heart-lung transplant) and chronic pain. It's unclear from the article, because it's probably unclear to many involved, whether the woman is asking for terminal sedation (with morphine as the primary agent god help us), or for some sort of assisted death like euthanasia. Or, is she asking for simple pain relief and it just happens that she, apparently, only responds to morphine but unfortunately the amount she would need would, in the estimation of her physician, kill her (sound unlikely? I agree). This last scenario seems to be being invoked by the patient herself although what seems to be being talked about is a terminal sedation scenario. Anyway it's another example of coverage of end of life issues that abut hastened death that is confusing. A potential error that is especially dangerous with fentanyl can occur when a conservative ratio for conversion in one direction is reversed, resulting in a liberal conversion in the opposite direction. For example, converting 100 μg of fentanyl to 1 mg of morphine, using a conservative ratio of 100:1, is substantially different from converting 1 mg of morphine to 100 μg of fentanyl. B) The fact that they made this error in an article about opioid conversions is disquieting. If I'm wrong here, feel free to comment and publicly humiliate me. Back to their point though--being conservative with these ratios, especially with those we know the least about, is of course prudent, provided the patient has access to sufficient ad lib meds or attentive dose titration, but I'm not sure specifically what their point is here about fentanyl. Well the American Academy of Hospice and Palliative Medicine put on another great Assembly this year in Salt Lake City. (Next year it will be in Tampa.) There were some great presentations, and of the four presentations I was involved with they all went pretty well, although I would have loved to see more people at the Professionals-in-Training Case Conference Saturday morning, because honestly the cases presented there touched on some of the great things about our field (educationally, intellectually, socially and more). And nowhere at the Assembly can you really hear about focused cases (you get some of this in the paper sessions but that is more research oriented, and the poster session doesn't have the same feel as a 15 minute case review). There was a lot of information at the conference that was important to the continuation of our field, in particular the issues around moving to the ACGME for fellowship training, and moving from the ABHPM to the ABMS. Most of the information you may need can be found on the respective websites, but it was good to hear what is coming down the pipeline from the people who are preparing this transition. One of the better sessions I went to (although it did run a bit long, because she had so much to cover) was Care of the Dying Infant: Before and After Birth (423) by Jeanne G. Lewandowski, MD FAAHPM, Hospices of Henry Ford. Please see her handout on the CD for more information. Palliative care really has a lot of work to do in the pediatric world. This is really tip of the iceberg stuff. Other than that, I enjoyed getting to see old friends, work with members of the Professionals in Training Special Interest Group (SIG) and the Fellowship Directors SIG in forming the foundation of education for our field. It was also great getting feedback from all the Pallimed readers and matching up names with some of the people who make comments, like Tom and Marachne (not maraschino). I also found out there are a lot more of you readers out there who don't comment. Please feel free to and if the technology is inhibiting you or the fear of repercussion exists, use an alias or comment anonymously. We can build a great community here that can make an impact on the field through sharing of knowledge, opinions and experience. Archives of Internal Medicine has released a study about a subject near and dear to many of us: the role of the consultant. They posit the study as an update of the famous 1983 article about the 10 commandments of consultation. The current study is from a survey of academic internists, family medicine docs, & general, orthopedic, and ob-gyn surgeons about what they want from consultants. The findings are illustrative but not, I guess, surprising. In general: surgeons (particularly orthopedic surgeons) were much more likely than family docs/internists to want a "co-management" model from their consultants--much more likely to say that it was ok for the consultants to write orders and to not restrict themselves to a narrowly defined question. 60% of surgeons wanted co-management whereas less than a quarter of non-surgeons did. Everyone wanted verbal communication from the consultant about her/his recs. Not going to any of the special interest group meetings at AAHPM? Christian and I will be having a clandestine "Blogging SIG" meeting on Thursday and all are welcome! To be precise, Christian and I will be talking/drinking/socializing/philosophizing at Kristauf's Martini Bar starting ~6:45ish after Thursday's program is finished. It will be super-informal and casual. If anyone wants to come, talk about Pallimed, medical blogging, how one can try to rationally sip from the apocalyptic deluge of medical information we constantly find ourselves under, or anything else--please stop by. If not CS & I will have a fine time alone. 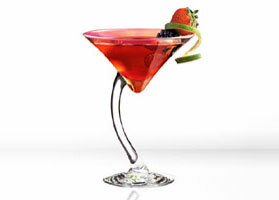 CS, knowing him, will likely be drunk by 6:45pm anyway**, so it promises to be a worthwhile evening. Map is here (I think it's mere blocks from the conference). I've changed the photo on my profile temporarily and will invite CS to do the same so you can recognize me/us. **For the record that was a joke. He'll be tipsy by noon. To (mis)quote Arrested Development, the only thing CS usually has in him is a bottle of vodka and an estrogen pill. This was also a joke. CS Here...Umm...I am not sure how to respond to Drew's allegations of my vices, for he has only been to lunch with me, and I had a club sandwich and a soda. But his post reminds me of what a social worker was telling me about this week. Something about projecting the image of yourself onto others. Something like that. And for the record, I am not planning on drinking heavily. Coming to hang out with us does not have to be about alcohol if that is not your scene. Binge drinking, joke or not, can be dangerous to your health and generally does not impress people, or so Drew has told me. I have changed my profile pic temporarily. I may or may not have a goatee at the conference. I compiled this list of helpful hints from my own experiences and from peers input over the past few years. I think it may be helpful to first timers but also to veterans of national/regional medical meetings like the AAHPM Annual Assembly. This was originally posted to the AAHPM Professionals-in-Training Special Interest Group email list. Any updates or additions would be appreciated. * Bring your CV (multiple copies, and UPDATED) and business cards, regardless of whether you are looking for a job. Many people may want to know more about you for networking reasons, not just job offers. * Talk to people. Don't sit by yourself unless you are the first person in the room. Sit next to someone and then introduce yourself. * Stay in your room sometimes. Take some time to unwind and be yourself. * There is a bulletin board in a central place where people post messages: Llook there for any messages regarding you or get-togethers you are interested in. * Don't be afraid to introduce yourself to any of the 'hospice celebrities'. Most of the well-known people in hospice and palliative medicine are very friendly and willing to talk, just make sure they are not in a rush for somewhere else. A lot of people would like to have their attention. * Go to the poster session and talk to the people who made the posters. A lot of hard work went into most of these, and everyone likes to hear when they have done a job well. * If you are bringing family or a significant other, make sure to spend some time with them. * Reconnect with old friends. * After a session, if you talk with a speaker, make your point or ask your question, and then allow others to interact. Nothing is worse, than trying to make a quick point after a session, then the know-it-all who wants to take up all the time of the presenter without regards to other people's interest. If you are presenting and you find this know-it-all who wants all of your time, make sure to set limits, and let others ask you questions. * Turn in your session evals in a timely manner. * Thank the coordinators who are organizing the meeting if you find them, they have put a lot of hard work and seldom get recognized. * Try and get out and see the city you are in, since you never know when you will be back there or if it will be devastated by a major hurricane. * When you come back to work schedule a educational session with interested parties to share everything you learned there. 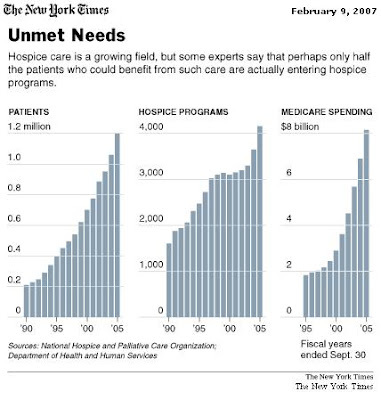 NY Times has a positive article about "open-access" model hospices. (For those of you not familiar with this it is a model where hospices provide/pay for costly and even disease-modifying treatments like chemotherapy, hospitalizations, etc.) Most interesting, to me, is that it seems several private insurers are trialling open-access in an effort to increase the number of hospice enrollees and lengthen hospice length of stay (one also hopes they are planning on publishing their findings on enrollment, LOS, cost, and patient/family satisfaction). Open-access is not without criticism, much of it about cost of course but also about it changing the nature (or at least the flavor) of hospice. Instead of opining on that I think I'll do my taxes instead and let commenters share their thoughts. It should be noted that with Christan's flurry of posts the last couple of weeks Pallimed has now exceeded the 300 post mark. "In many cases, families complained that they had received contradictory or confusing information from different staff caring for a relative. In other cases, relatives felt that they were unprepared for the death or had no time to arrange for family members to be present." BMJ also has an interesting look at the role of NGOs in physician assisted suicide. It examines two organizations in detail (Exit in Switzerland and Compassionate Choices in the US). Both function as patient advocacy groups, assisting people seeking PAS--Exit volunteers will even physically help people fill and administer the lethal prescription. The authors'--whose tone is neutral--take is that these organizations help people overcome the physician obstacles to PAS (the fact that many physicians want nothing to do with it). Oregon aside, the article is most relevant to the UK where there is a very active national debate about 'assisted death.' If you're interested Compassionate Choices website is quite interesting, especially in how it uses a lot of palliative-care type language (although my sense is that most palliative care clinicians in the US are neutral about PAS at best--many, myself included, feel quite negative about it--there are notable exceptions of course). The other interesting thing about CC is its use of consumerist language..."choice" etc. As if one can pick from a buffet of choices about end of life care (leather or vinyl seats?) --something that doesn't reflect the reality of dying at all. NEJM this week has an article about religion, conscience, and controversial clinical practices (full-text available for free). The article is base on a survey of American physicians and their attitudes towards religion and controversial practices. Most of the context for this is reproductive issues (abortion, contraception) but terminal sedation is also specifically included. Basically they found that most physicians feel it is appropriate to disclose their moral objections to a medical therapy, but that they should still inform their patients of all available medical options, and refer a patient to a physician willing to help the patient (86% and 71% for the last two obligations). The more religious the physician was, however, the less likely they were to endorse an obligation to informing/referring their patient. And those physicians who morally objected to a specific practice were much more likely to say that they had no obligation to inform or refer. (Only 15% of physicians personally objected to terminal sedation compared to ~half for reproductive issues.) It should be noted that only 63% of physicians responded to the survey. The lesson, I guess, is caveat emptor, and particularly regarding reproductive issues one cannot assume that your physician has your best interests in mind/agrees with you about your best interests/or will even engage with you about this. In a laterally related article The Hastings Center has just published a report on patient religious belief and medical-decision making capacity (free .pdf here). It is a long argument (that I can't really summarize) that religious beliefs may lead to patients lacking medical decision-making capacity, but that this does not necessarily mean that those patients are incompetent to make decisions. Incompetent in the sense of patients having their (legal and ethical) right to autonomy and to decide what is done to their body taken away from them. Are certain patients due to strongly held religious beliefs incapable of rationally understanding medical information and making decisions on that? Yes. Does this mean their right to make decisions should be forfeited? No (not necessarily). This is the crux of the author's argument. A problem, which is addressed in the article, is that one person's religious beliefs may be another's psychosis, and does cultural sanctioning of religious beliefs ( i.e. there are a lot of believers in X therefore it's ok versus a small fringe-cult's beliefs) make a difference in what is, well, crazy (my words, not the authors) and what is faith? Charlie Norwood, a congressman from Georgia, had a press release yesterday that he is foregoing further treatment for his NSCLC. He is a 7-term Republican who is not resigning his seat, and has said in some new reports that he may consider further treatment if he becomes better. The press release states that he will also receive 24-hour nursing care at his home. I am glad to see the public mention of hospice care for public figures. I always have wondered when you hear about a famous person dying at home if they had hospice services or if they were able to hire their own nurses and physicians to come and visit them. I wished that the hospice philosophy could benefit from more public mentions like this and Art Buchwald. (Although it should be noted that 24-hour in-home nursing care is not part of the Medicare Hospice Benefit (obviously barring continuous care for crisis), nor of most commercial insurance that I am familiar with. Just don't want any misconceptions since this is public knowledge). NY Times had a great article about cancer in people under 40. The tone of the article is 'isn't this shocking' mixed in with a little 'but the outlook is good.' I think the best quote is from Lauren Terrazzano when she says, "Cancer is the ultimate form of identity theft." They also link to a site http://imtooyoungforthis.org/ which highlights how to live with a cancer diagnosis at a young age. For those of us in the hospice field, I know we have all seen our share of patients that seemed way too young for cancer. But then is any age a better age for cancer? There is no good age to have cancer. We should caution against being ageist. The Washington Post had an editorial from someone who has been diagnosed with "life-threatening diseases four times." The editorial focuses very well on the patients perspective of being a "blunter" or a "monitor.' New terms to me but the article goes on to talk about how different people want different amounts of information when it comes to their medical care. HospiceGuy over at HospiceBlog (a good read if you have not been over there yet) has posted on the NHPCO alert about Bush's new budget and the implications to Medicare and therefore the Medicare Hospice Benefit. That decision will force people like me to focus my energy on the nursing home market in hopes of having enough big profit nursing home patients to finance my admirable but financially unsustainable home patient habit. He is a pretty clever writer. Much more than me. He gives Drew a good run on being witty. Why the short post Christian? Well I also wanted to tell you about the new feature on the left hand column that features stories that come to my RSS/Atom feed through Google Reader. I mark them to 'share' with you the Pallimed readers because it may be of interest to you. Not always so interesting to post a long soliloquy but interesting nonetheless. I promise not to just check everything. I will filter it for you. Unfortunately this service will not come through with the email updates via Feedblitz. This is the fifth post in a series previewing the sessions at the American Academy of Hospice & Palliative Medicine's Annual Assembly. There are a couple of interesting talks with interesting titles here and the one that has me most intrigued is the 'Risks and Benefits of Terminal Illness Acknowledged.' Very cryptic but very interesting. I hope it offers a unique perspective as the title implies. Have not heard the speakers before, but sounds really interesting. This title has me interested: 'A Session for those Not Ready for Self-Care.' Will we learn about caring for ourselves or about how to help others who are not ready to care for themselves, or is this about the loss of independence at the EOL. I am not sure, but Martha Twaddle is a pretty good speaker, so good vibes on this one. Another slightly cryptic title is the one about the 'Pediatric Voice.' I presume this is focusing on making sure that children are involved in EOL issues, but I am not sure if this means 'pediatric hospice' or 'adults at EOL when children are present.' I find both issues interesting but would have to read the detail on the talk before deciding to go to this one or not. Glad to see there is a methadone talk. i think this is a good idea for beginners to intermediates in this field, and probably a topic that should be present every year, given that palliative practitioners should be well familiar with this opioid as a tool for difficult pain situations. This talk is given by tow doctors from Excellerx (parent of Hospice Pharmacia), so I am guessing this will focus mostly on oral methadone. I am curious about their input on intravenous/subcutaneous methadone, given its lack of availability but possibly better cost-benefit ratios. I am not sure about the educational value of the PC-FACS talk alone, but I think this is a great service from the AAHPM, and Amy has done a great job putting this out. A little more weight towards policy issues with this session with some of the big guns weghing in (Von Gunten, Herbst, Casarett, Teno, Storey). All probably good talks if these policy areas (Medicare denials, QI, Pandemic Plans) are of interest to you. Wow this is getting late in the day. I hope you are all sticking around for the best talk of the day: Palliative Care of the Brain Tumor Patient by myself and Dr. Salacz (Who has 3 talks at this conference - simmer down now!) Other than our great talk, there are some good ones in this session, like the one on ''Management of Addiction" by Crossno and 'Creating Deep Lasting Organizational Change.' I have not heard many of these speakers talk except for Chamberlain. No big comments on the other sessions although the Cardiac Program talk would be good for those looking to specialize their palliative care programs. Phew! There are a lot of talks this day. Guess no going to Alta for me! ...after acknowledging the situation’s difficulty, (doctors should) present their expert opinions and not shy away from making recommendations because of a misplaced fear of upsetting the patient or surrogate. I frequently instruct medical students, residents and fellows that pass through my hospice agency that patient autonomy does not mean our professional opinion is unimportant. When it comes to prescribing cholesterol medications, we don't always stop to say, "Now what do you think would be best?" Physicians will say, "Your cholesterol is high, diet and exercise did not work as we hoped, and now you should be on Brand X to decrease your risk of cardiovascular complications. Here is your script." Here professional opinion weighs heavily on the situation. In an effort to seem completely objective (especially in life and death/EOL/terminal cases) we risk abandoning our patients and their families by not offering a suggestion for best medical course that fits with the patients expressed wishes (if known). The "If it were my mother" question always seemed slightly bogus to me, although it does raise a good point. How would a physician decide to care for their loved one? My standard reply to families or patients is that I would find out what was important to her, weigh the risks and benefits of the medical options given and choose the one that fit best with her goals. So on one hand it seems like a cop out because I won't say "I would put a PEG in my mom." But I do try and reflect the words that the patient or family have used to frame the decision. "Well, given what you said about your mother being fiercely independent and wanting to ride her Harley to South Dakota every year, we should/should not do XYZ"
Also this point was great. I need to make a plaque out of this sentence. Curative and palliative care should not be dichotomous. Additionally, in some US states patients can opt for do not resuscitate orders out of hospital. Are there really states where you cannot get a Out of Hospital DNR? For example, when discussing cardiopulmonary resuscitation, it is important to explain that ribs may be broken, burns can occur, success is inversely proportional to length of resuscitation, and the likelihood of returning to the former level of functioning may be small. 1) Look at the patient, see that the heart has stopped beating or had a fatal rhythm or that the lungs have stopped breathing and say, "Now we have something to fix." Then the scene becomes one of urgency, chaos and strangers trying to fix things. 2)We can look at the patient, understand all they have been through recently and in their life, realize this is a time when the body may say, "I can't be fixed." And instead of emergency, strangers and chaos, we can work on peace, family and comfort. This may be one of the most important times in this person's life. Most people understand these differences, and brings up similar issues without getting gruesome or gory. One other small point that was not fully addressed is the often difficult case of differing physician opinions and communications with families. Overall great article. I would recommend it as a great overview, introduction article to principles of palliative care and patient-physician communication. And in typical BMJ fashion they have some cheeky humor at the bottom of the last page of the article about using a CAGE like questionnaire for Blackberry users called the SHAM Screening Test. I have a Blackberry, but I am 0 for 4 on the questions. Phew! • Do you get annoyed if you are asked to Stop using your hand held device? • Do you take your hand held device on Holiday with you? • Do you get Anxious if you cannot find your hand held device? • Do you ever Misperceive a sound as the ring tone or call sign of your hand held device? Kudos to Mark Taylor for the submission to BMJ. This is the fourth post in a series previewing the sessions at the American Academy of Hospice & Palliative Medicine's Annual Assembly. Team as a Living Organism: Healthy and Terminally Ill? I think this is a really good idea for a plenary topic because what person has not been in a meeting and thought that the meeting could be going better, more efficiently, more focused, more whatever, and then the thoughts go to what person is somehow impeding your ideal of a perfect meeting (whether that be short, long, whatever). But this talk is likely much more than the team meeting which I like to think of as the family dinner. The focus of this talk seems to be the whole dynamic of the team in all settings, but obviously I picked on the team meeting because that is one aspect that the medical director really gets to see the team in action. I hope there are some good insights here because I think team building and looking out for one another happens in a few special teams, but it takes work. A lot of work to stay 'healthy.' I guess they should have some good analogies given their title. This talk wins second prize for best title. David is a good speaker as well and an all around good guy so this should be a good talk. Well there has always gotta be one session that really doesn't get you particularly excited, although this time has a diverse range of topics, not one particularly grabs me and some I have heard in other venues. The Training Program Accreditation is the one that best fits my needs as a Fellowship Director, so I will be there. Lupu and Portenoy have done some great things to move this process forward and any information from them will be helpful for me to hear. The Children's Legacy talk and the Hurricane Katrina talk should both have some great stories and some particular insight if those areas interest you. Bailey and Ritchie's Evidence Based Order Set talk was pretty insightful last time I went to it, but not much has changed in the past few years in EOL EBM. This session is surely recommended for those entering the field or starting new programs. If you have never been to this, but are planing to be in this field a while, I reccommend you go to this at least once every few years. Great insight into where we have been and where our professional field is going. Probably one of the most important palliative care articles to come around in a long time was published last week in the New England Journal of Medicine. It's from a project to improve communication with families of dying ICU patients (article here; supporting editorial here). It's important in a variety of ways, but first--a summary. ...Including: Intervention group meetings took 50% longer than control meetings (average of 30 vs. 20 mins); families spoke almost 3 times as long in the intervention group meetings ( 13.5 vs. 5 mins). The care patients received after the meetings seems to be pretty similar--median survival was 1-2 days--the intervention group had slightly fewer life-prolonging interventions continued for what's that worth--this is important because it seems that the intervention group family members had better outcomes not because the patients received different care but because of the communication differences. Interestingly both groups felt like they spent sufficient in the meetings and that they had clear information. As for the study's primary outcomes: the intervention group family members did significantly better symptom-wise 90 days after their loved-one's death (lower score on a screening scale for PTSD, and significantly lower scores on the HADS depression and anxiety scales). These improvements were modest, but likely real, particularly given the relatively low N of this study. 1) I'll go ahead and say it: because the NEJM published it--an ICU outcomes trial in which the outcome was the emotional well-being of bereaved family members! This underlies the reality that medical culture is changing into one which more or less supports the integration of palliative care/palliative-care-type approaches to severely ill people. And, like it or not, the NEJM has a certain normative effect--like the NY Times--in defining what is important. 2) While most of us think what we do--you know, talking to patients/families, hearing their stories, supporting them in their grief--actually helps people in real ways, it is nevertheless extremely important to prove that what we do really does help people. Or else why would institutions, payers, policy-makers, and other physicians change or support us? 3) Caveats (below) aside, what was studied here was well-accepted principles of medical communication that are the foundation of all the expert recommendations on communicating difficult information with patients/families, running family meetings, etc: find out what people understand and find important, value emotions/emotional reactions, let people speak. Wisdom and experience have shown that this is a much more humane and effective approach to communication but as per #2 above it is extremely important to empirically support this. 4) Carrying #3 further the trial is important because it's a sort of proof of principle--that you can do this sort of investigation and find meaningful, and important, results. 1) There are certainly cultural differences between France and, say, North America and I'm not sure how to interpret this. 2) I don't want to oversell the findings as these are the first of their kind (as far as I know--if I'm wrong PLEASE leave a comment). Welcome to Pallimed: A Hospice & Palliative Medicine Blog! We are glad you found us and hope you enjoy the information and commentary we provide. If you are here we presume you have a basic understanding of the field of hospice and palliative medicine, and are likely part of the professional field. (Here is a good description of palliative medicine). Our target audience is the professionals (MD, DO, RN, LPN, LVN, Home Health Aide, ARNP, SW, Chaplain, Administrators, PT, OT, Speech, Pharmacy, etc.) working in hospice & palliative medicine, but we welcome all readers to this blog, including patients, families and other medical professionals outside of this field. Our goal is to review current palliative medicine, hospice, end-of-life research with a particular focus on publications not from the major palliative care journals. We also highlight important events in end-of-life care from the news media and entertainment arenas. Pallimed is not intended to replace the patient-physician relationship. Click here if you want to know more about us. Please email Drew, Christian or Tom to let us know about things we may have missed but should blog about, or to give us general feedback on the site. What About Your Day Jobs? We do this in our spare time, for fun and for the pursuit of knowledge and truth (sounds noble!). We have a standard disclaimer that the views we express here do not represent the views of our employers or former employers or institutions that we are affiliated with. Please see the disclaimer and copyright information at the very bottom of our homepage. Our effort here is not to provoke but to inform and have open conversation about some potentially thorny issues. Our clinical care is enhanced by being able to comprehend as much information in our field as possible, which is part of the reason we do this blog. We use our real names and not pseudonyms, because we feel it imparts credibility and responsibility for our words. How To Make Pallimed Work For You! So what is the big deal about these blogs I hear so much about? If you are new to blogs the first thing to do is 'bookmark'/'add to favorites' this site in your browser (Ctrl+D in most browsers). You can even add the bookmark to your toolbars in your browser (Firefox, Internet Explorer) so that you can access Pallimed with one click. This is a great start, but the main problem is you have to actively seek the site to get the information. Wouldn't it be nice if the information just came to you? Using a service called 'Feedblitz', Pallimed can provide you with posts as they are written directly to your email box. Just type in your email and click the button and you are done. No signing up for a new account or anything. Give this a try and if it does not work for you then just unsubscribe. Here is a very helpful 3 minute video to explain RSS. Basically RSS and Atom are computer languages for universal formating of information. It can be read using a RSS/Atom Reader. Many readers exist as separate programs or add-ons to your browser, but you can use Firefox 3.0, Safari or Internet Explorer 7 to do the same thing (links go to those sites tutorials). Those of you on IE6 need to upgrade to IE7 to get the RSS benefit. Ours is located in the right column and is supported via Feedburner. If you click on this link it will take you to their site to pick your feed options. Christian recommends Google Reader (especially if you have a Gmail account). It is very intuitive as are most other RSS readers. If all this talk scares you, it really is not that bad, just try it. You will not break your computer. Most of these articles are not available in free full-text online. Consult your institution's library for online availability. On an individual basis we should be able to provide .pdf's of most articles - email Drew or Christian. You can always find abstracts at PubMed. In time, some of these links may no longer work - let Drew know if you find any dead ones. We have a search bar located in the left sidebar under the label cloud. Each post is labeled by common topics we cover here at Pallimed so you can quickly find other similar posts. On the left hand column you will also find a 'label cloud' which lists all the topic labels associated with our posts. Click on a link and see what you find! Many older posts do not yet have labels. (Added 2/7/7) Also in the left hand column is a feature from Google reader that allows us to share Hospice & Palliative Medicine related stories that come across our desk, but have not yet or may not ever write about. In the right hand column we also have a link to the Pallimed Archives (where you can browse blog posts by date). Pallimed has a comment function (at the bottom of each post) that allows you to give us feedback on each post. Just click on the "comments" link at the end of each post (the link usually tells you how many comments have been left so it says, e.g., "0 Comments" or "1 Comment"). Tell us your opinions and thoughts. This can be a great community for discussion. You can even add comments anonymously, especially if you want to say something controversial. Even something as pithy as 'great post' or 'what are you talking about?' helps us to keep working at the blog day in and day out for you. We ask that you refrain from providing specific details about cases because of HIPAA restrictions. But if you want to discuss a case more broadly, that would be more appropriate. If you comment we almost always will comment back. The comment function has a simple verification system to prevent spammers from clogging the site (it has already happened!). Comments Policy: The editors of Pallimed reserve the right to remove any comments we deem offensive/hateful, mean-spirited, commercial, or in any other way inappropriate. This blog is intended to foster colleagial, well-informed discussions about research and news relevant to clinicians working with patients facing severe/life-limiting diseases: it is not a forum for discussing individual cases or airing complaints or concerns about specific cases (whether from the clinician, patient, or family perspective). Such comments will be removed at the discretion of the Pallimed editors. 6) What Can You Do For Pallimed? Read the posts, make a few comments, tell others about it. Thanks for reading! Feel free to email us directly at our emails listed above. Subscribers (via RSS or email) are kept private and the information will not be distributed or accessible to anyone but Drew or Christian. Website stats for visitors are tracked by Google Analytics, but no identifiable information is kept which could identify a user. Pallimed uses 'cookies' to track returning visitors, but again this data will not identify a individual user, nor is it kept over time.